Peter Parker, a promising young student at Midtown Science High School, is about to undergo a drastic life change. A discovery in his Aunt and Uncle’s basement prompts him to seek out one of his father’s old colleagues, Dr. Curt Conners. After infiltrating the OsCorp facility under false pretenses, Peter is bitten by a genetically altered spider. The bite endows him the proportionate powers of the tiny creature. In light of his newfound abilities, Peter again seeks out Conners. The two form a bond, and Peter aids Conners experiments in limb regeneration. Shortly thereafter, Peter’s uncle is accidentally killed by a petty thief. Peter takes to the streets to find his Uncles killer, eventually becoming a masked vigilante named “Spider-Man.” Spider-Man soon becomes an overnight media sensation. Meanwhile, Conners experiments result in him becoming a giant human/lizard hybrid. When the creature begins rampaging through the streets and sewers of New York City, It ultimately falls to Spider-Man to stop him. 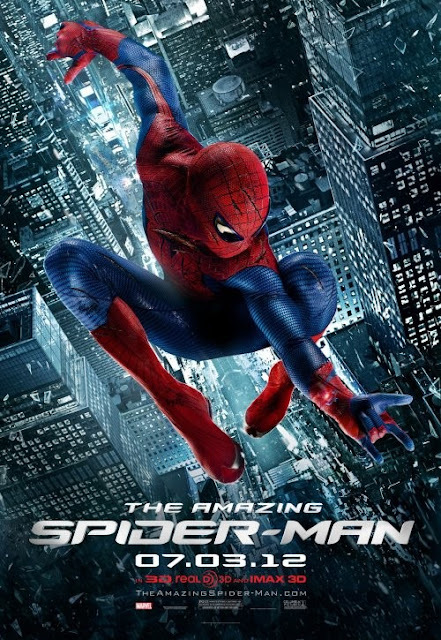 The Amazing Spider-Man is the much anticipated reboot of the Sony Pictures franchise. It boasts a different cast than the previous three films, as well as new director. In certain regards, it’s more faithful the source material. In others, it’s wildly divergent. While it admittedly finds a happy medium between the two, it ultimately fails to embody the true spirit of its title character. The world of The Amazing Spider-Man feels more superficially realistic than that of the Raimi films. The film’s vision of New York is a neo-noir throwback to 70’s revenge classics such as Death Wish. While this works to modernize the film to an extent, it also renders it generic. While Spider-Man has never been a dark character per se, there has always been a dark undercurrent running through his mythos. Both he and his rogues gallery are the direct result of science experiments gone awry, often with tragic results. The filmmakers choose to bring such elements to the surface, and wind up pushing a bit too far in that direction. Certain moments evoke David Cronenberg style body horror. It gets to the point where even Spidey himself comes off as somewhat creepy. The action scenes are bit more grounded in reality this time out, and as such not quite as dependent on CG as previous Spider-Man films. Stunt Coordinator Andy Armstrong incorporates elements of parkour and MMA. The difference is noticeable, as Spider-Man is more fearsome in combat than ever before. Strangely, this doesn’t result in more exciting action scenes. The set pieces, like much of the rest of the film, feel strangely indistinct. The film’s conception of Spidey also proves to be misguided. It’s a complete 180 from the Sam Raimi/Tobey Maguire characterization. The fault lies not with Andrew Garfield’s performance, nor with his physical appearance. The problem lies with the film’s overall depiction of Parker, who’s shown to be a social outcast only in the most romantic sense of the phrase. He never seems particularly put upon, nor do his social inadequacies seem like anything that he won’t eventually outgrow. His transformation into Spider-Man never feels like an organic or even a necessary evolution. As Conners, Rhys Ifans is much too mannered and distant to be a truly sympathetic villain. The Lizard’s creature design, while somewhat true to the original one by Steve Ditko, is too humanoid. The CGI used to bring the creature to life unintentionally evokes the stop motion creations of Ray Harryhausen. The Amazing Spider-Man isn’t truly a bad film, but a frustratingly adequate one. Director Marc Webb has a vision for the character, but it consists of making him little more than a garden variety brooding loner. Raimi’s films were light as air, and never felt too tethered to modern expectations of what a superhero film should be. In that regard, they were very much like the title character. By contrast, The Amazing Spider-Man feels much too beholden to fan expectations. As a result, it never truly soars.